2019 marks Zymo Research’s 25th birthday. From its simple beginning manufacturing yeast research products out of a garage, to the industry leader it is today, Zymo Research never lost sight of its vision - to have a positive impact in the biomedical field and contribute to the greater good of humanity. 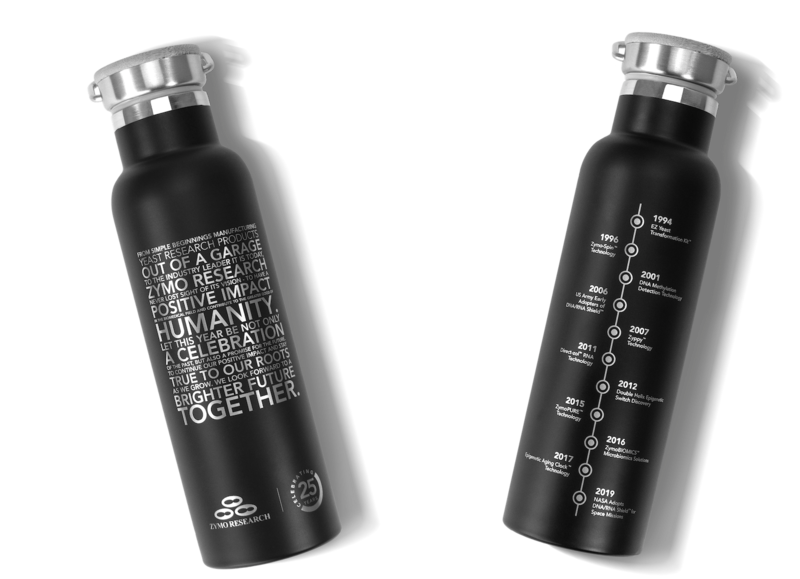 Our 25th anniversary is a celebration of that vision and all the people who have supported us and helped change the world. None of this would be possible without you. Your research, your feedback and your support has been the driving force behind all we have accomplished. Let this year be not only a celebration of the past, but also a promise for the future. 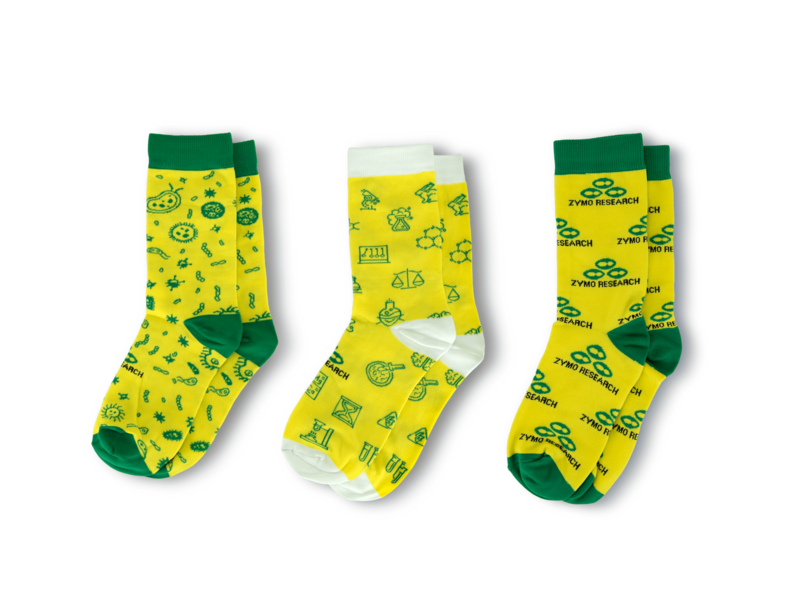 To continue our positive impact and stay true to our roots as we grow. We hope you enjoy the stories and surprises this year as we look back at the past 25 years and look forward to a brighter future together. We can’t wait to see where we go from here. In an ordinary garage in Orange, California, a young scientist looked down in disappointment at murky tubes of E. coli from a broken-down centrifuge. Realizing his centrifuge couldn’t spin down E. coli, the virologist put off his dreams of creating gene therapy products for the only thing his secondhand centrifuge could spin down – yeast. The small pellet that emerged from the centrifuge marked the beginning of Zymo Research Corporation and the start of a revolution in yeast research technologies. With a new vision and scarce resources, he eliminated 9 out of the 11 steps in yeast transformation and introduced a simple and efficient product to the world called the EZ Yeast Transformation Kit. Now, instead of taking a week to complete a yeast transformation, it only took an hour. With just one part-time employee and no marketing budget, Zymo Research’s name started to appear in industry-leading publications for its coveted yeast products. Zymo Research soon became a leader in the field of yeast research, but the company’s founder knew its true potential was well beyond yeast. As the company grew, it expanded its focus to include plasmid purification, RNA/DNA isolation technology and also became an industry leader in epigenetics and microbiomics. 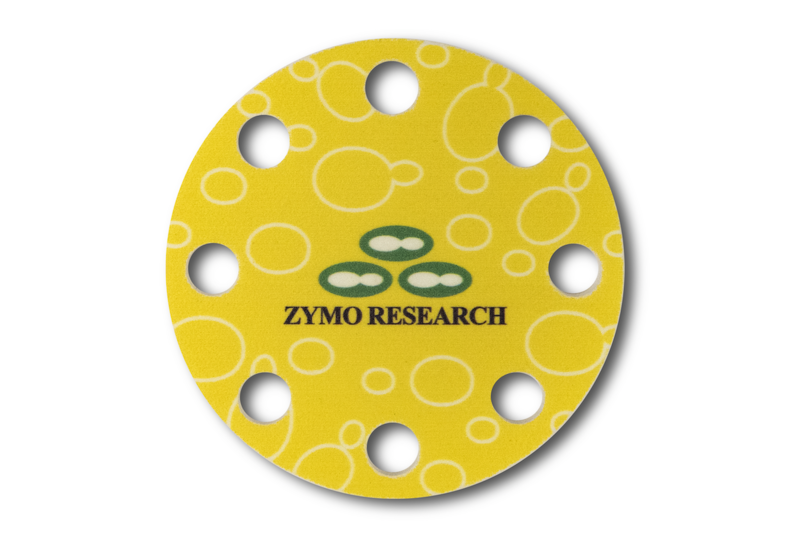 While the company has evolved, the three budding yeast cells that still adorn Zymo Research’s logo are a constant reminder of its roots. They represent a timeless promise that its growth will always stem from one fundamental belief - The beauty of science is to make things simple. While researching unidentified pathogens, a young virologist became frustrated with conventional methods of nucleic acid clean up. Low concentrations of DNA from large elution volumes hindered his research and took up precious time. One day, he finally had enough of inefficient protocols and products, so he pioneered his own. With a glass microfiber filter, a micro Eppendorf tube and a hot needle to make holes, the founder of Zymo Research fashioned the first ever micro-elution spin column. The homemade spin column provided the scientist with very high concentrations of DNA from small elution volumes. The ultra-pure, highly concentrated DNA from the spin column enabled him to reliably sequence DNA directly from PCR without cloning, something that had previously been very inconsistent. When nearby researchers noticed how efficiently the scientist was working, the spin columns started to disappear from his work station. It was clear that this technology fulfilled a widespread need in the industry, so he decided to make it available to the world. This marked the beginning of the Zymo-Spin Micro-Elution Spin Column. Zymo Research’s micro-elution spin column technology designated the first wave of DNA purification products launched by Zymo Research and went on to be used in groundbreaking research, including the discovery of the West Nile Virus in North America. Today, the Zymo-Spin technology not only simplifies work at the lab bench, but it enables researchers to make cutting-edge discoveries in various fields all over the world. Prompted by scorching temperatures in the Middle East and no access to freezers, the Walter Reed Army Institute of Research set out to compare nucleic acid preservation methods to find the most reliable solution for collecting specimens for surveillance. Inspired by the idea of a soldier in the Middle East with nothing more than a small tube and a backpack, Zymo Research submitted formulations that could preserve nucleic acids at any temperature and also protect users from harmful pathogens. What would later become DNA/RNA Shield, the formulations provided by Zymo Research far outperformed other methods due to its ability to inactivate pathogens and stabilize RNA in extreme temperatures. The results of this study sparked other military interest from US Army Medical Detachments in Kuwait. After validating the preservation of viral nucleic acids in DNA/RNA Shield, a group requested and distributed the solution throughout the region. The reagent helped the operation of field response to disease outbreaks and facilitated sample collection from places where medical assets were very limited.